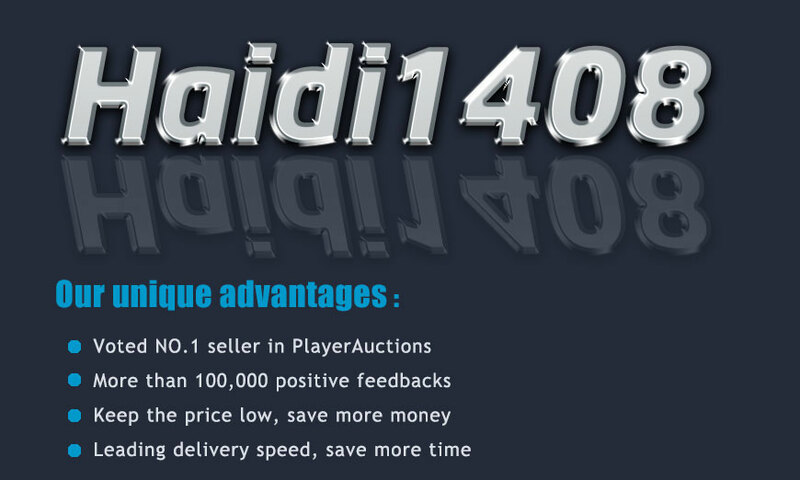 Why should you buy account from haidi1408? This offer list is for a specific account, already provided to PlayerAuctions. This account is PREMADE account that was leveled by Haidi1408. Haidi1408 is original owner, and account has zero risk of recalls. Haidi1408 use the highest quality leveling method possible. Account names are hand-crafted without the obvious mass-created look to them. Haidi1408 sell at a high volume and have a proven and trusted track record with our customers. All listed accounts are in stock and available for purchase. Warning: This account have email Not Verified, please change the email to your own email at first. DO NOT click verify before change email, or you maybe lost this account.